All natural imported and domestic tobaccos. These blends are guaranteed to be extra mild without any bite. 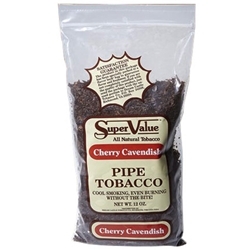 Each of the Super Value Pipe Tobacco are developed by master tobacco blenders using the traditional Cavendish method. Try one of these great creations today, at Smokers Discounts.